Charleston is a true gem of the American South. This special city is having a vibrant resurgence, so it’s a super interesting time to visit. Charleston’s historic cobblestone streets and antebellum architecture coexist dynamically with the hip, progressive growth the city is experiencing. Its culinary scene rivals that of any of the world’s biggest cities, and its art scene isn’t far behind. 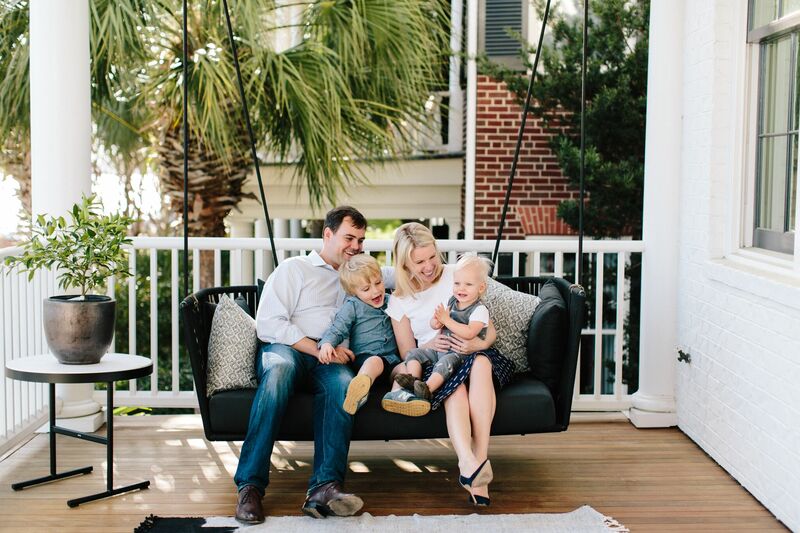 Between the warm fragrant air, palmetto trees and a general work-to-live attitude, those of us who live here often feel like we’re on vacation all year long. 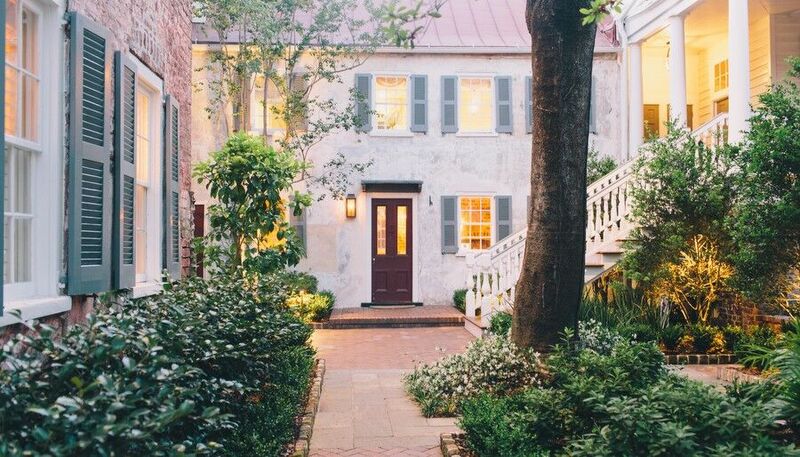 Charleston is an ideal spot for a quick weekend getaway. FYI – for those of you who don’t thrive in extreme heat, I’d recommend against traveling here in August (that’s the time when us locals usually travel to cooler climates, as well). Most weekends, you’ll find my family at the Saturday Farmer’s Market in Francis Marion Square. With a great mix of yummy food trucks, bouncy castles and live music, you and your kids will certainly have a blast. Growing up in NYC, I love exploring cities by foot. Charleston is a wonderful city to either ramble on your own or journey with a group one of the many walking tours through neighborhoods older than our country. There is so much history downtown. If you’re with kids who won’t last a long walk yet still want to learn the history, there are also horse and carriage tours around these picturesque historic streets. The beaux-arts Gibbes Museum just finished a multi-year, award-winning restoration, and the space is gorgeous. The Gibbes is bringing amazing art exhibits to Charleston, so it is always worth a visit. If you’re looking for more contemporary art, the Halsey Institute is certainly worth checking out too. Get out on the water! Downtown Charleston is a peninsula, thus enveloped by beautiful waterways. The surrounding areas also offer a series of cool islands to explore. One of the best ways to see the city is to rent/charter a boat, kayak or paddle board and see it by water. Pick up some Leon’s fried chicken, beers and Southern tunes, and you’ve made the afternoon of it. Charleston’s beaches are lovely and only 20-30 min drives from downtown. 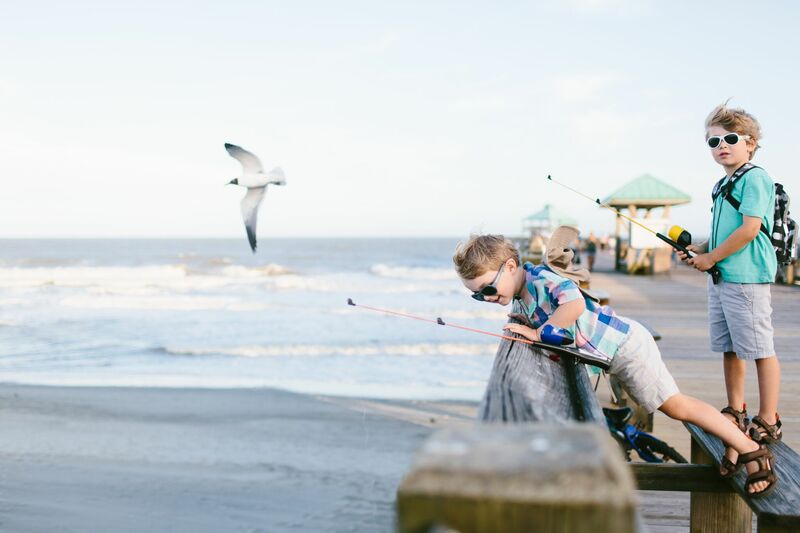 If you’re looking for something more private and peaceful, Sullivan’s Island is the spot for you. And if you like a little honky tonk, Folly’s Beach has a great surfer dude vibe, fishing pier and ice cream stop. A special place to take kids between 6 mths and 8 yrs is the city’s Children’s Museum. They have creative rooms for every child’s interest, including art, music, water play, a pirate ship and “grocery store”. 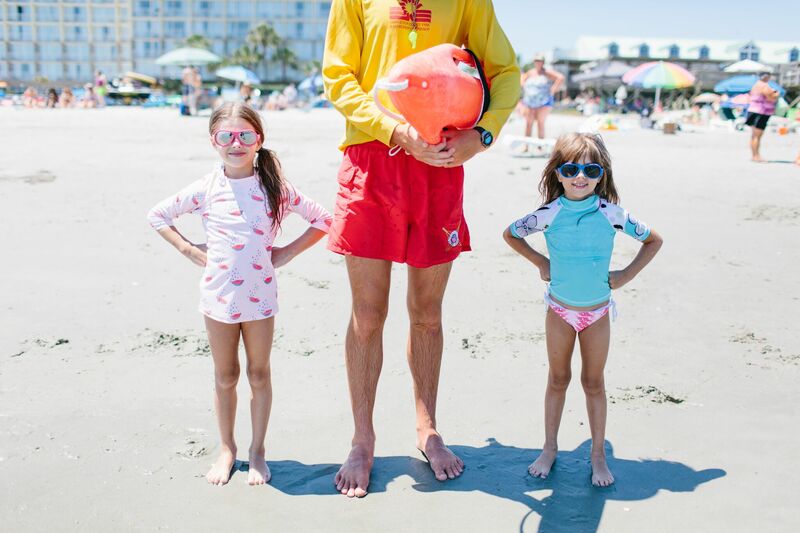 If you kids love ocean life, the Charleston Aquarium is also a great spot. My husband is a Marine Corps fighter pilot and loves US history. For other history buffs like him, he suggests taking the ferry to tour Fort Sumter, the site where the first shots of the Civil War were fired. He also loves bringing our boys to the USS Yorktown, a WWII aircraft carrier docked just over the Ravanel Bridge in Patriots Point. It is also worth trying to find some good live music while you’re here. There are usually festivals or concerts most weekends. Here are a few spots to check out. My favorite restaurant in Charleston is the stately bank-turned-raw bar, The Ordinary. The off-menu ceviche is out of this world, and they have the best oysters in the city. The restaurant also has a fun, lively bar scene – not the best place for children, but awesome for a grown-up date night out! 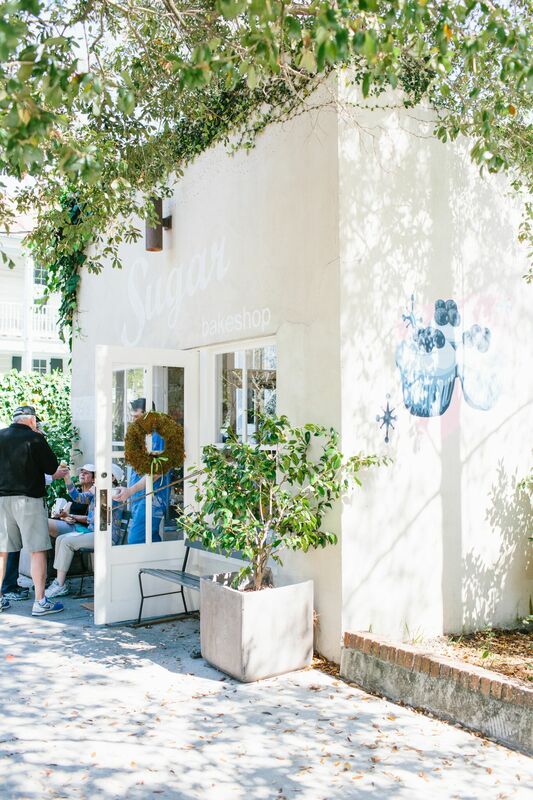 Sugar Bakeshop is the place to take kids for a sweet treat. This adorable bakeshop just off Upper King makes the best cupcakes in the city. 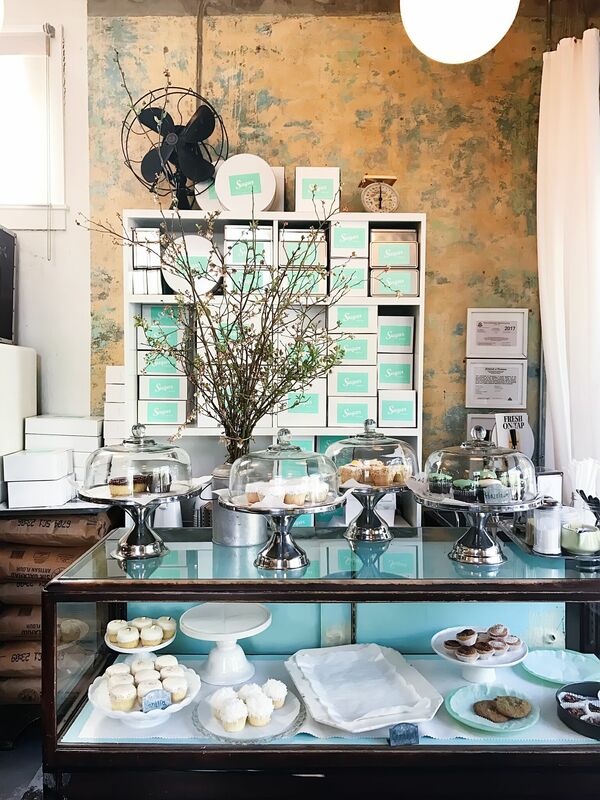 When Martha Stewart recently visited Charleston, this was one of her can’t-miss stops on a quick trip…so you know it’s good! The best place in town for good coffee is Black Tap. A must if you’re a coffee snob. A delicious spot for breakfast or brunch with kids to taste the best Southern biscuits (an authentic Charleston staple) is Hot Little Biscuit. 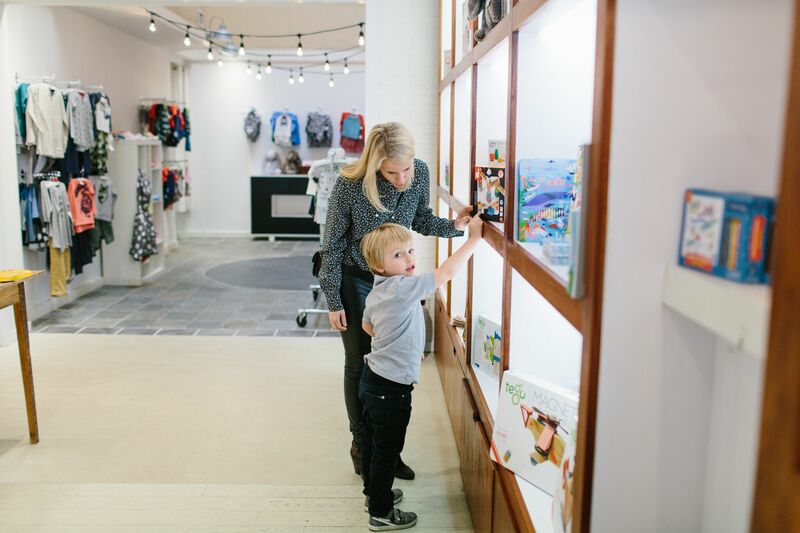 One location is ½ block from the Children’s Museum, so it’s perfect to visit before or after your museum stop. The owner Carrie also just opened a second Charleston location on Market Street downtown. Other awesome kid-friendly lunch or dinner spots include Taco Boy, Monza Pizza, Leyla and Park Café. A hidden gem for dinner is Chez Nous – a charming French restaurant in an old Charleston single, offering a limited daily menu based on what’s fresh and in season. The chef also shares photos of the nightly meal each day around noon via Instagram to whet your appetite. 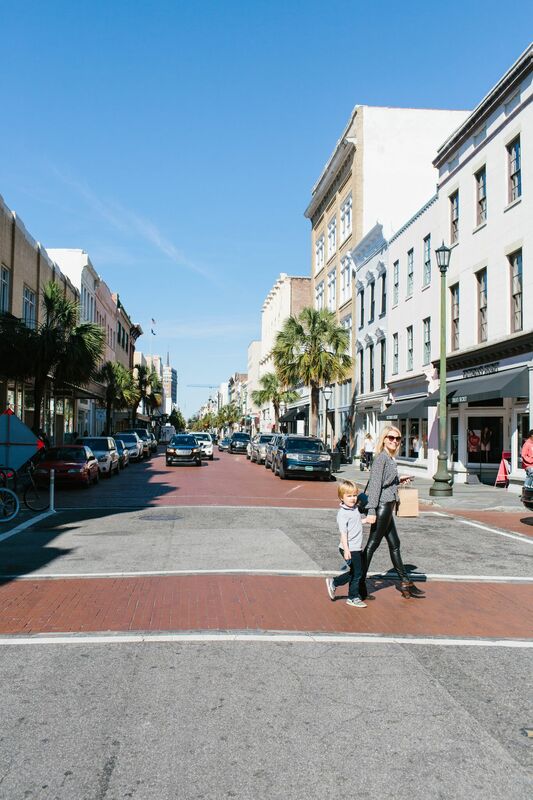 King Street is the main retail drag of Charleston. Taking a walk down King to window shop or browse the stores is a nice afternoon (think of it like a smaller, Southern Madison Avenue). 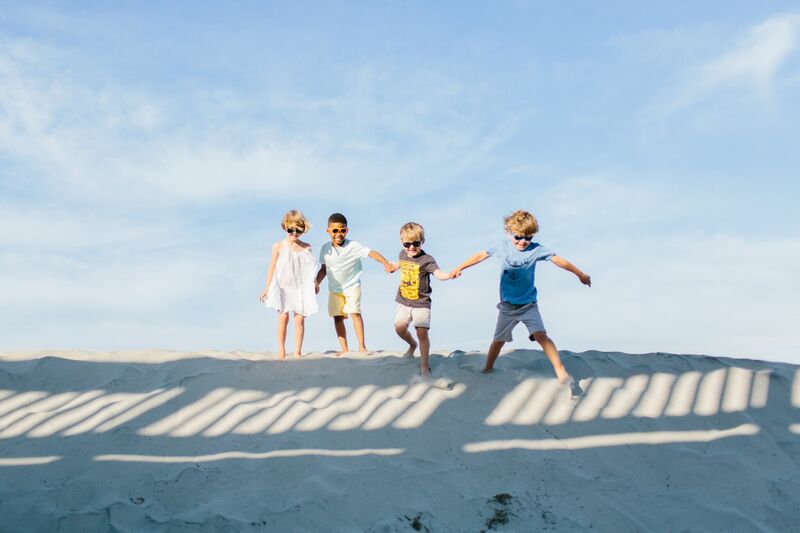 Sugar Snap Pea stocks all the coolest children’s brands of clothing and toys (and we’re not just saying that because they carry Babiators shades!). It’s difficult for a parent to leave the store empty-handed. Our son’s new favorite pick is the store’s jumbo map of the world puzzle. If you want to bring home something local to remember your trip, a piece of art would be a great option. There are so many cool, burgeoning artists in this town – it is fun to meet them and learn about their work. My favorite art galleries are the George Gallery, Meyer Vogl and Redux Studios (though Redux is a collective studio so please call ahead for artists’ hours). 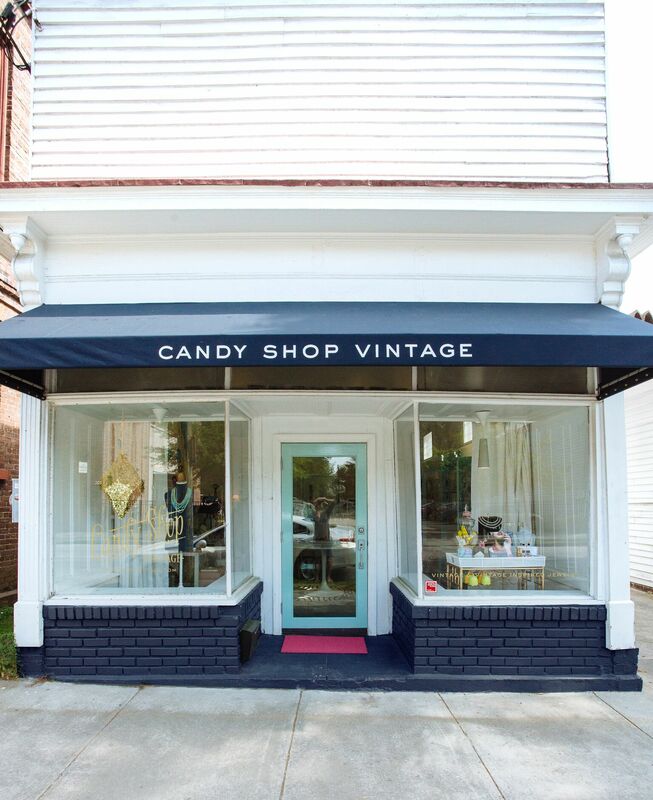 Candy Shop Vintage is an adorable vintage and vintage-inspired store (mainly jewelry though there are also other cool finds like cocktail napkins, vintage furs and disco ball party cups). The store’s signature item (and best gift for friends or family who didn’t make the visit!) are the Charleston Rice Beads – vintage-inspired bead necklace that pays homage to the city’s port history. Most women who live here own a strand or two. 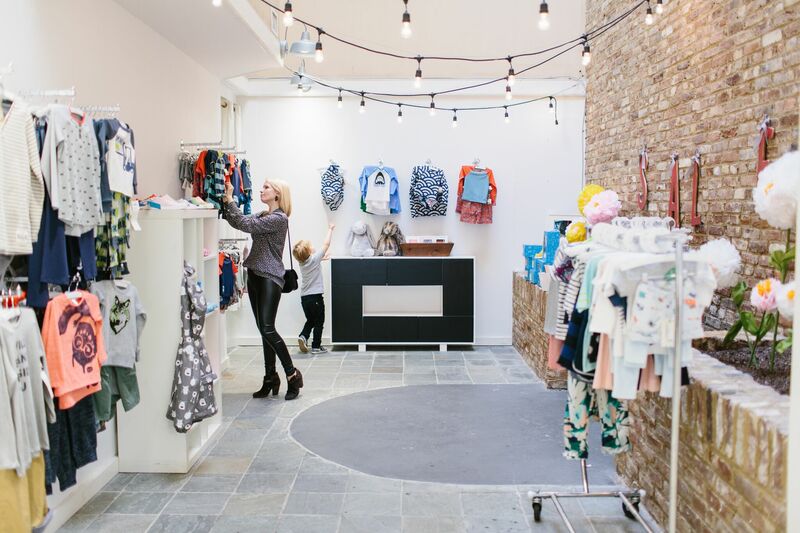 The most fashion-forward boutique in Charleston is Hampden Clothing, hands down. Voted one of the country’s best places to shop for women’s clothing by Vogue and Marie Claire, this is the place to go if you’re in the mood to treat yourself. The newcomer to town is The Dewberry – a super chic hotel that is impeccably styled using all repurposed mid-century furniture. If you’re into design, this is the hotel for you. Also, its lobby bar, The Living Room, is one of the coolest spots to grab a pre-dinner drink in Charleston. If you’re looking for something more quaint and picturesque, Zero George is a wonderful, Instagram-worthy spot. Very reminiscent of a boutique hotel in Europe, you can’t get much more charming than Zero George’s central garden and courtyard, on which most of the rooms look out. The restaurant here is delicious, and the chef also hosts fun cooking classes on site! The Belmond Charleston Place is a large, full-service hotel with plenty of amenities – pool, gym, spa, room service. While the ambience may be a tad more corporate than the others, it is ideally located right downtown for walking around historic downtown. If you’re traveling with a larger group or multiple kids, you may want to have your own kitchen and living spaces. Check out Charleston Concierge Company to find a great VRBO house or apartment downtown to use as your base for the trip. What a great guide! We love Charleston and also love the super cool Babiators (the only sunglasses my 14 month old can’t break!). I’ll be sharing this with everybody asking me for Charleston recommendations! Love this insider’s guide. Can’t wait to try some of these recommendations! I’ve got to plan a trip to Charleston! This article made me long to get there again soon! Truly a gem of the south.